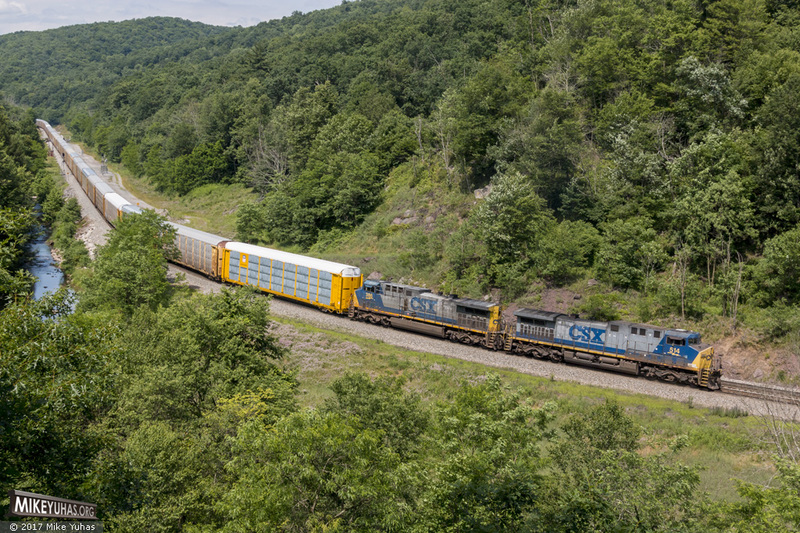 A gigantic Q276-28 train of loaded autoracks screeches down Sand Patch grade eastbound. The train's brakes are set and the two GEs are pulling with all their heart - downgrade! Train originated at Toledo and is bound for Baltimore.